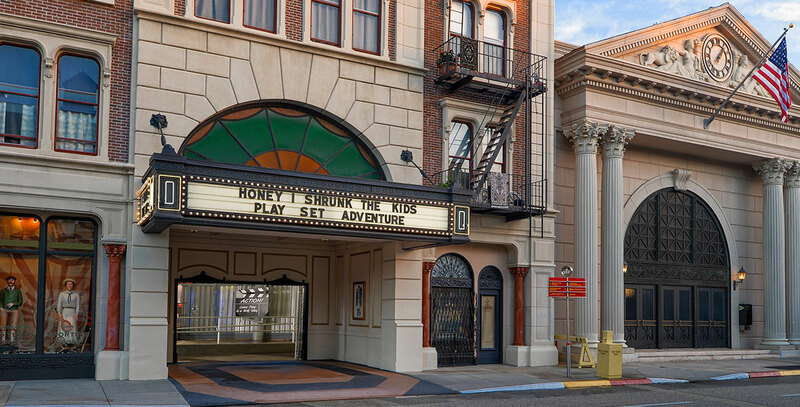 Streets of America Area in Disney’s Hollywood Studios at Walt Disney World originally known as New York Street. The name changed in 2004. Includes Muppet*Vision 3D, Honey, I Shrunk the Kids Movie Set Adventure, Lights, Motors, Action! Extreme Stunt Show, Studio Backlot Tour, Mama Melrose’s Ristorante Italiano, Pizza Planet Arcade, and Studio Catering Co. Also the site for the annual Osborne Family Spectacle of Lights beginning in 2004.